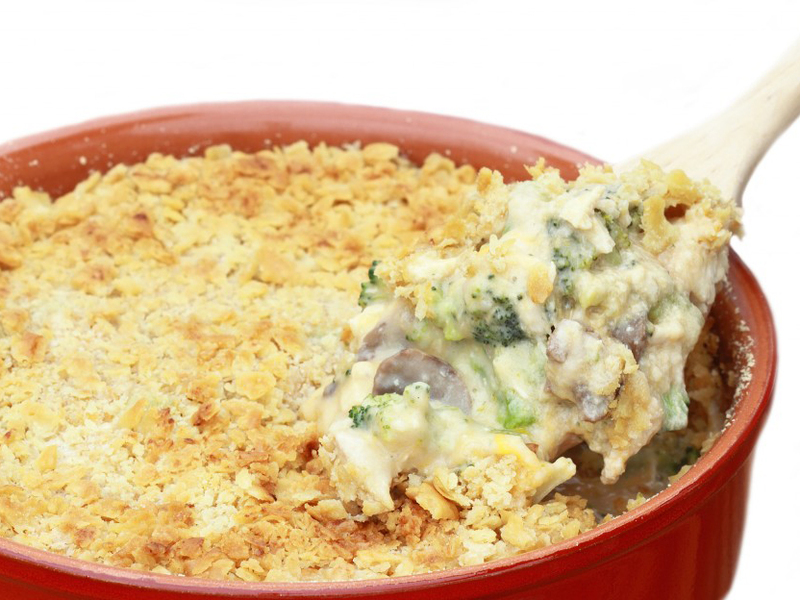 Dale's Broccoli Chicken Casserole is an excellent dinnertime dish. This recipe calls for many ingredients including Dale's Seasoning for a creamy casserole. Looking for another dinnertime dish try Dale's Dale’s Turkey Chili. To begin making the Broccoli Chicken Casserole, Preheat oven to 375 degrees. Then, in an ungreased 1 ½ quart casserole dish combine chicken, broccoli, soup, onion, mayonnaise, sour cream, Dale’s Seasoning and curry. Bake for 20 – 25 minutes until bubbly. Cut biscuits in halves and place on casserole, cut side down. Combine topping ingredients (egg, celery seed and salt) and spread over biscuits. Return to oven and bake for 10-12 minutes, or until golden brown.